Our reputation for quality repairs is unsurpassed. Our workshop is open house, we&apos;ll show you exactly what we do if you are interested, and answer any concerns you may have regarding your bicycle. 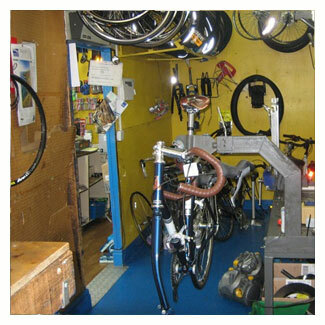 If your bike repair is delayed for any reason which is very rare, we will contact you. Likewise, we appreciate customers collecting their repair or service on completion, as we have limited storage facilities. To sum up. If you have a mechanical problem in future, please don&apos;t hesitate to call us for sound advice.